Painters and decorators work on a variety of residential and commercial projects that range from painting and redecorating small building structures to applying heavy-duty finishes to large structures like high-rise buildings and bridges. For residential houses and commercial buildings like hotels, restaurants, and offices, a painter’s involves using paints, stains, varnishes, and wall coverings to decorate interior spaces to specifications while larger structures require finishing with weather resistant, intumescent (fire retardant paint), and anti-corrosive finishes. Interior painting, which is basically decorating, is something many homeowners can DIY but time constraints, impatience, or being unsure of doing a great job of it draws most back from implementing the task. Painting of other commercial and industrial structures are done by professional painters and decorators. Interior decorating, which involves painting interior spaces, deals with the look and feel of the interior of a home or office by adding accessories like rugs, curtains, blinds, décor items, and furniture. Painting of internal walls and ceilings may be simple, and many may be able to do it successfully, but when it comes to introducing special painting techniques, it is best to leave the task for professional painters. Some can DIY a few of these methods but most of us require the services of the experts to implement them. Special paint finishes will add style to your interior space giving the space an aesthetically pleasing look, a different dimension and some vertical texturing. 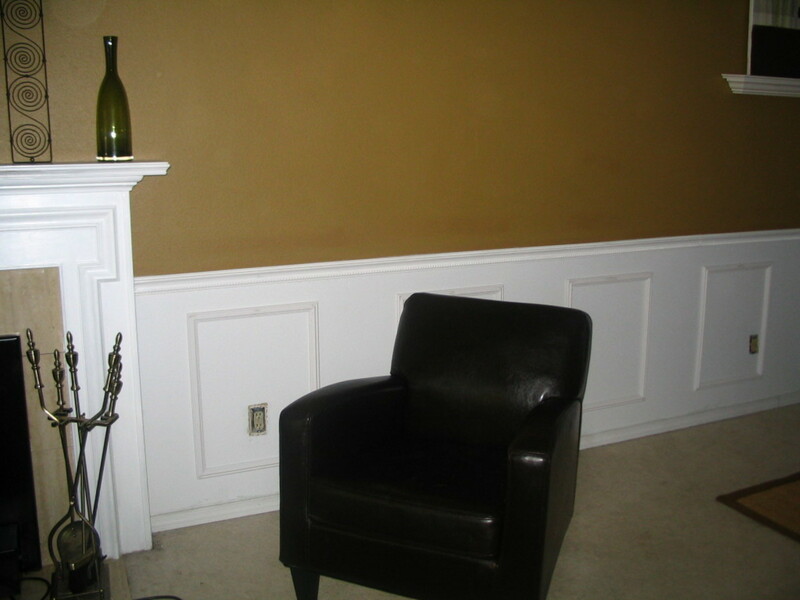 Most special effect painting is applied to a single feature wall in, for instance, your living room, foyer, or bedroom. The mood you wish to create. Do you want a unified colour scheme? Are you planning to have one or two wall feature walls? Do you want to use a flat or textured paint finishes? Wall antiquing is fairly easy to do, but there are variations of this type of paint effect, with many of them possessing elaborate classic themes that add a touch of the past into your room. Old walls can have many looks - streaky, heavily mottled, softly mottled, chipped or textured. Antiquing is also great if you want an eclectic style room where you can blend the old, the new, and others in between. It is more effective if you do this wall finish technique on a focal wall. Application methods used by painters include painting a film of colour over a light neutral coloured wall. The film’s consistency must be thin, and you can add a mixture of oil, turpentine and a bit of pigmentation to get the desired consistency and hue. Another method used by painters and decorators is to first apply a smooth glaze with a large brush on the wall (or ceiling), and with a coarse brush or spray gun, stipple random areas on your first glazed coat. Pigmentation obtained from brown earth-tone palettes like raw and burnt umber is best to use because they give a satisfactory illusion of age. Techniques of application – Before you proceed, use a painter’s (or masking) tape to protect baseboards, trims, mouldings and electrical outlets on the wall. Protect the surrounding floor with drop cloths or old sheets. Practice on a piece of drywall or board before proceeding. Apply the lightest colour first with a roller. It doesn’t have to be a perfect application. Use paint brushes for the edges and smaller areas and use an angled bristle brush for the corners. Allow the first coat to dry. Apply the next shade of paint in vertical strokes down the wall in an uneven way with a coarser brush or sponge. Allow the second coat to dry. Dab the darkest shade of paint irregularly and haphazardly on the surface with the sea sponge. Allow the coat to dry. Allow more of the first coat to show through, add some glazing. Glazing each coat before applying the next will make your layers appear a bit transparent and help build up layers of colour while allowing you to still see glimpses of the coats beneath. Go with the flow. There is no perfect way of doing this. The best thing to do is choose the right colour shades and keep them on the light side if this is your first try. Wall stamping is a popular finish that painters and decorators specify for interior decorating and painting works and is a great alternative to wallpaper. It not only looks stylish, depending on the characters of the stamps you use. Paint stamping is an easy task to accomplish if you are a DIY enthusiast, and when set together with a variety of matching, complementary, or contrasting colours and textures, you can create any look from the modern and abstract, to the traditional and classic. It involves sketching shapes on crafts foam using a straightedge. You can create your own shapes or use pattern templates that you can buy. Simple repeatable shapes like squares, diamonds, circles and hexagons are easier to use. The number of colours you’ll use will determine how many plastic plates and crafts foam pieces you’ll require so if you plan to use two or more different colours, you’ll require a plastic plate for each. Application Methods – Your patterns must be predetermined before you apply paint on the walls. If you want a grid design, for instance, lightly draw your grid lines on the wall with a pencil, using a level and straight edge. Carefully cut out your shapes with a pair of scissors or a utility knife. Pour about 3 tablespoons of paint on each plate (one colour per plate). Add a tablespoon of mixing glaze to each plate and mix thoroughly with the sponge brushes. Place your crafts sponges on a piece of paper towel and with a moistened sponge brush, brush the mixture on one face of the cut-out shape. Brush all strokes in the same direction. Make sure your edges overlap slightly because you don’t want gaps in your stamps. Mop excess paint off the foam pieces with a wet paper towel. Pick each one up, one at a time in the sequence of your choice, then turn it over and press the shape onto the wall making sure all parts of the shape are in contact with the wall surface. Repeat this with the other paint colours. Tips - Continue wall stamping and layering of your shapes until you’ve achieved your desired design. To keep your design on a grid, draw a few light guidelines on the wall every 12-18 inches. Practice first on a piece of poster board before proceeding with the application. For something abstract, try to be creative by using different shapes applied haphazardly on the wall. This wall finish is also referred to as gilding and is achieved by applying thin sheets of gold, silver, copper, bronze, or aluminium leaf to a wall surface or panels, resulting in a luminous and stunning effect. A wall will need no further ornamentation or wall art if it is finished with metal leafing. The look of gilding is unparalleled. It is regal, elegant, and will make an interior space look expensive and tastefully done. If you are seeking one of the top wall finishes or if your interior decoration calls for the highest level of shine, a metal leaf finish is an ultimate decor. With its high-end look, this opulent and rich wall application is perfect as an accent wall in your living room or bedroom. When viewed in candlelight, it is absolutely breath-taking! And best of all, it’s not that hard to apply and not much more difficult than wallpapering. But because gold leaf is more delicate than other wall coverings, it is a painstaking task that may be best left to the expert painters and decorators. Application method – After you have washed the wall, sand off uneven areas, old paint bumps, and any uneven surfaces, then wipe down the sanded areas with a tack cloth. Fill existing cracks with drywall filler and when it is completely dry, sand it until it is smooth then wipe off the resultant dust with a tack cloth. Tape the ceiling edge, mouldings, and trims, and the baseboards. Prime the wall with two coats of water-based primer and allow to dry for at least four hours between coats. 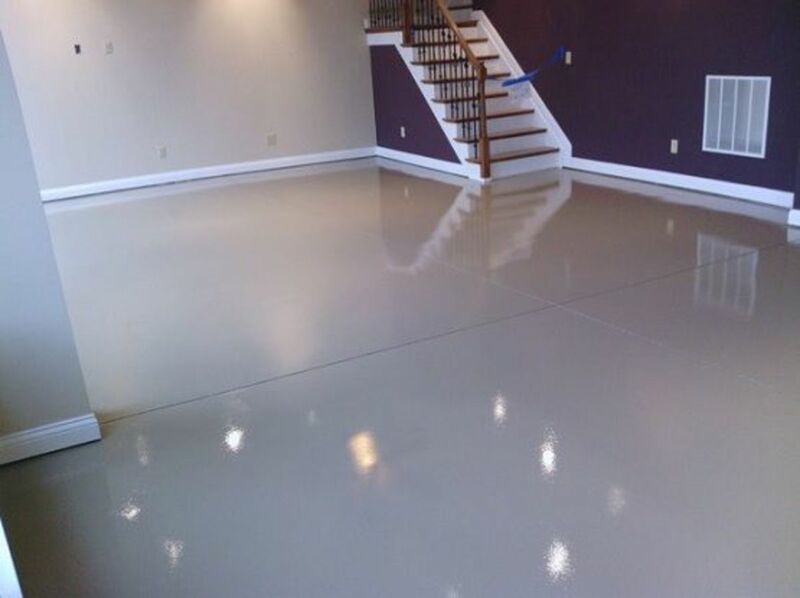 For damp or rainy regions, allow at least six hours of drying time after applying the water-based primer. Allow the same in-between coat applications. Apply the first coat of the eggshell latex paint. Apply the second coat of paint and leave it to dry overnight. The following day, start the metal leaf application from one end of the wall at the ceiling line. Starting from the ceiling line, press a strip of gold leaf onto the wall. Go over the paper backing with a squirrel mop gilding brush. This will press out any air bubbles and ensure the metal leaf adheres properly. Peel the paper backing and brush the gold leaf gently with the mop brush to make it stick. Continue this process until you have gilded the entire wall, one strip at a time. As a final finish, apply the water-based varnish to the metal leaf with a short-napped roller to seal and protect it. Leave the varnish to dry overnight. Tips - You can choose to use metal leaf adhesive or a water-based adhesive. If you are skilled at gold-leafing and can work adeptly and quickly, you can opt for the gold leaf adhesive but for DIY enthusiasts who like to take their time, its best to use the water-based adhesive. If you plan to use gold-leaf adhesive, begin at one end of the room and roll the adhesive in one long strip from the ceiling to the baseboard. Varnish your metal leaf wall to give it long-lasting protection. Gold leaf is more delicate than wallpaper, so it adheres best when your wall is clean, cracks-free, and perfect. Water-based adhesive is easier to work with and allows you to take your time to apply the gold leaf. Do not apply metal leaf in an unventilated room. Natural marble is a material is associated with wealth and good taste. With faux marbling on the walls, you have introduced a classic style into your home at a fraction of the cost of real marble. It is one of the popular wall finishes not only because it is economical but because it is affordable and has a high-end finish. Marbling adds dimension, texture and style to any interior space without the stone’s typical heavy look and will transform your room into a rich, sophisticated and elegant space. The beauty of faux marble paint is that you can create the look of any marble variety you like and can even tweak the application technique to come up with your own unique marble look. The simplest look to recreate using standard paints is the basic white marble with grey and black veins. Application method – Before you commence, spread some old sheets or tarpaulin on the floor to protect it from spills and dripping paint. Also, tape mouldings, trims, windowsills and baseboards as a protective measure. Repair cracks and pock holes with joint compound filler. When it dries, sand thoroughly until they are flush with the wall surface. Apply the base-coat with the 3/8-inch paint roller. Apply the second coat to create a smooth base for the marbling. Apply the marble veins with the feather using your second colour by running it along the surface of the wall in a random fashion. Repeat the process until the wall is full of vein streaks to your satisfaction. Mix equal parts of the base coat and polyacrylic gloss and pour into a foam plate. Dip the damp sea sponge into the mixture and dab it on the vein marks until all are lightly covered. Allow it to dry for ten minutes. Blend the finish by rolling a dry cloth into a ball and lightly blot the entire faux marbled wall until all the colours intermingle. Allow a drying time of one hour. You can apply additional vein streaks to the wall if you desire. If not, let the paint dry for an additional two hours. Apply the polyacrylic satin top coat with a roller using long vertical strokes. Allow it to dry for two hours. When the paint is dry, use a hand sander with fine-grit sandpaper to buff the wall and sand with gentle, circular motions to reduce streaking. Wipe the wall clean of sanding residue and repeat the process two more times using a total of three coats. Allow it to dry completely for about three hours. Tips - When the wall is dry, use a hand sander and fine-grit sandpaper to buff the final topcoat of polyacrylic satin finish then wipe off sanding residue from the wall with a soft cloth. Practice on a sample board before commencing the wall application. Use the darker paint colour as a base coat for subtle vein markings and a soft final appearance. Use the lighter paint colour as a base coat for more dramatic vein streaks and a more defined vein finish. When sanding, wear a sanding mask to prevent inhalation of fine particles. 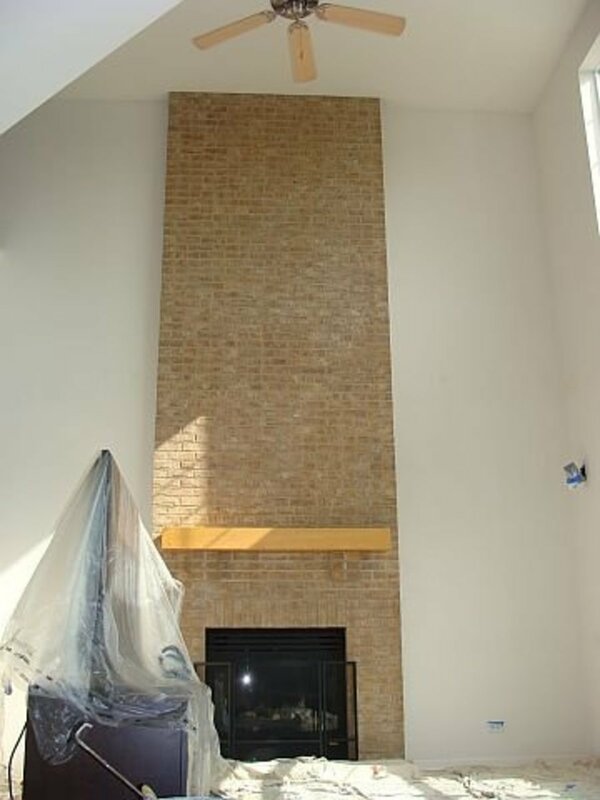 On a final note, before painters can do a successful job, the existing wall conditions must be right for any painting technique to look well done. The wall types and conditions will determine the preparations required before any special paint effect can be achieved. If your walls are fresh and have never been painted, is wallpapered, or has been painted over many times, how you apply paint will differ meaning that you may have to do minor or extensive prep works. Whichever paint colours you choose, they must complement the entire space and the colour of the ceiling. You can create a subtle match or a totally contrasting look which will depend on your style, taste, and the look you desire. Go with your gut feeling and remember there is no hard and fast rule that must apply in painting and interior decorating. Interior decoration is the furnishing and adorning of a space with stylish and aesthetically pleasing décor items. fashionable or beautiful things. Decorators, unlike interior designers, do not design. Decorators will tell you about the effective and tasteful use of colours by painters and how a painted room may end up motivating and mood enhancing, or depressive and uninspiring. They have technical knowledge of the procedures and methods of getting the desired results, an essential aspect of their job. Many homeowners are born decorators because they have an eye for great furnishes and finishes and how to combine the two for effective results. For some, it’s not hard to decide on what works best, but others who are less creative (or not at all) may require the services of decorators. But are painters’ decorators, and are decorators’ painters? Yes and no. 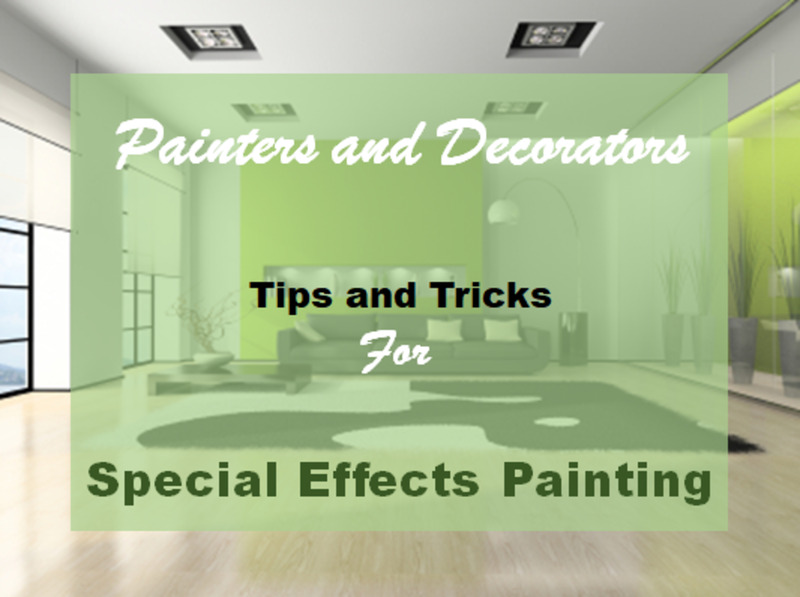 Yes, painters are also decorators because painting is an aspect of interior decoration. No, decorators are not painters and will only contract out the painting part of their projects to professional painters. Interior decorators generally focus solely on decorative details of a room which encompasses the concept of the entire space. 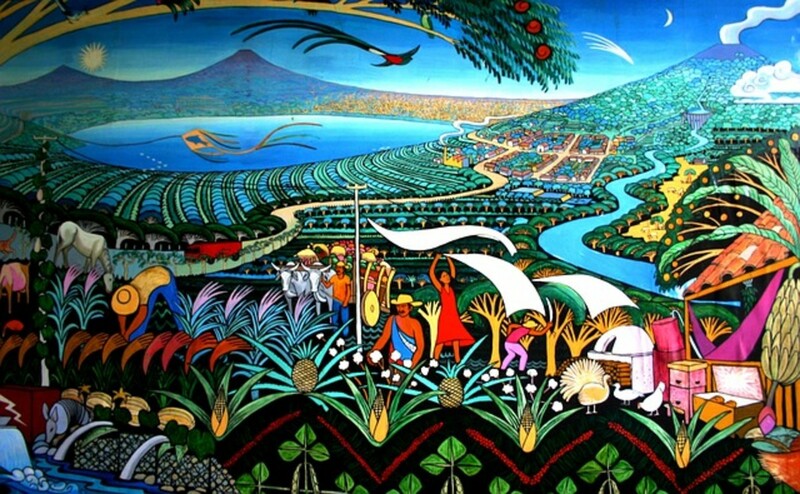 There is less of a need for them to be professional painters, rather, their focus is centred around the foundational principles of aesthetics. Decorators handle more tasks which include selecting colour schemes, arranging furniture and furnishings, hanging wall art, picking out lighting fixtures like floor and table lamps, etc…, and are seen as individuals that will bring an entirely new look to an otherwise boring or lack-lustre space. Bring in a professional decorator if you need a set of savvy eyes to help bring your design inspiration to life. Employ the services of a decorator if you want to give a room a makeover and don’t have time to DIY. With things like the floor and wall coverings, for instance, if you are not the creative type (most people are not), a decorator has the ability and experience to choose the right wall finish, floorings, colours, textures, patterns, and décor items. What this means is that decorating goes beyond painting tasks. Hiring a decorator is not as expensive as many may believe. What may make it all appear pricey depends on the items and features you choose. Decorators are not interior designers, but an interior designer can do the job of decorators. Thanks for your nice comments and your visit twogroce. Glad you find 'painters and decorators' informative. Nice Hub! Many great ideas, I am bookmarking this one. Hello Relica, i'm glad you enjoyed this. Thanks for the visit, and for finding the time to leave a nice comment. Love the video on faux marbeling techniques. Nice hub. Hi Papernotes, i'm so glad you find it helpful. And thanks for the visit. Goodluck with your future painting and decorating works. Great hub! Many thanks for the detail tips and your videos are very helpful. This is so useful for the next time I need to repaint my home.